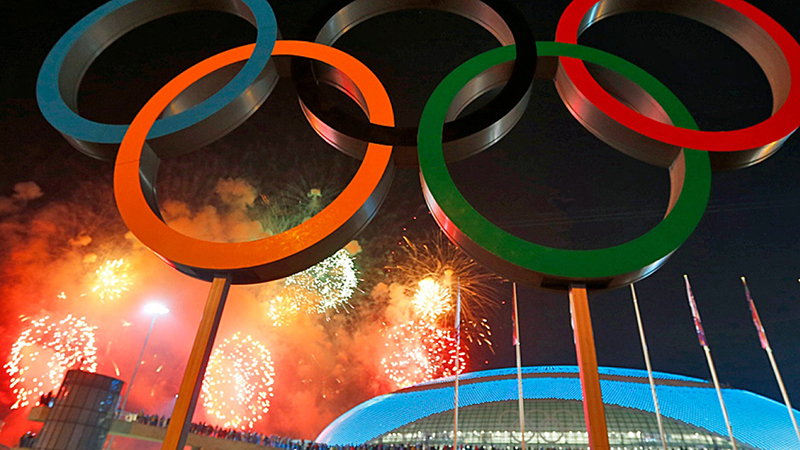 The 2018 Winter Olympics are coming to a close. Will the sponsors be remembered? Was Google there among sponsors? Why might you think they were? A new study gets to the heart of the first question and also helps to decipher the next two. For marketing gurus and companies, the study, co-authored by the UO’s T. Bettina Cornwell, also provides a roadmap for sponsors to be recalled correctly and for overcoming consumers’ poor memories. No, Google was not an Olympics sponsor, but its daily Doodle Snow Games imagery created a connection that could lead to an association in the minds of consumers, said Cornwell, head of the Department of Marketing in UO’s Lundquist College of Business. The study, led by Clinton S. Weeks of Queensland University of Technology, a former doctoral student of both Cornwell’s and co-author Michael Humphreys from the University of Queensland, probed the environment of event sponsorships and how they are remembered. In two experiments, participants listened to stories about 12 different fictional events and were given the names of real companies as sponsors. Their memory for connections was examined by asking questions in two directions: Which brand sponsored a particular event? And which event was sponsored by a brand? When a sponsorship relationship is strongly communicated, Weeks said, the connection should be remembered regardless of direction. Sometimes, however, people will mistakenly attribute sponsorship to a competitor brand that is similar to the sponsor, even though that competitor brand was not a sponsor. The marketing-based experiments dove into “emic” and “etic” relationships of companies to events. In emic connections, companies are naturally associated with an event, such as sport-shoe companies and a marathon. Etic relationships involve companies that have no obvious connection, such as furniture companies and a marathon. Companies can be recalled as sponsors, accurately or falsely, depending on their marketing approach, said Cornwell, the UO’s Edwin E. and June Woldt Cone Professor of Marketing and academic director of the Warsaw Sports Marketing Center. For example, she said, North Face, one of the Winter Olympics sponsors, needed to do something to stand out because other outerwear companies, such as Columbia, Patagonia or Timberland that are also emic to outdoor sportswear culture, could be associated with the event without being there. Nonsponsors might be visible in communications, imagery or advertising that simply show their natural involvement in the culture. Sponsors that are etic, without natural connections, have to work harder to build an association in consumer’s minds. One of the best examples during the Winter Olympics has been Toyota, Cornwell said. Toyota did this by running emotionally powerful ads displaying support of the Paralympics and connecting to the sporting ecosystem. The ads focus on mobility and the preparation of athletes so they could compete in the Winter Paralympics. Google Doodles also put an etic company into play as being associated in consumers’ minds as a sponsor by featuring cartoon outdoor sports imagery during the Olympic games. The Google Doodles are simple, fun, cute and effective in building a bridge to the Olympics, Cornwell said. The new study was published online in early February ahead of print in the Journal of Experimental Psychology: Applied.